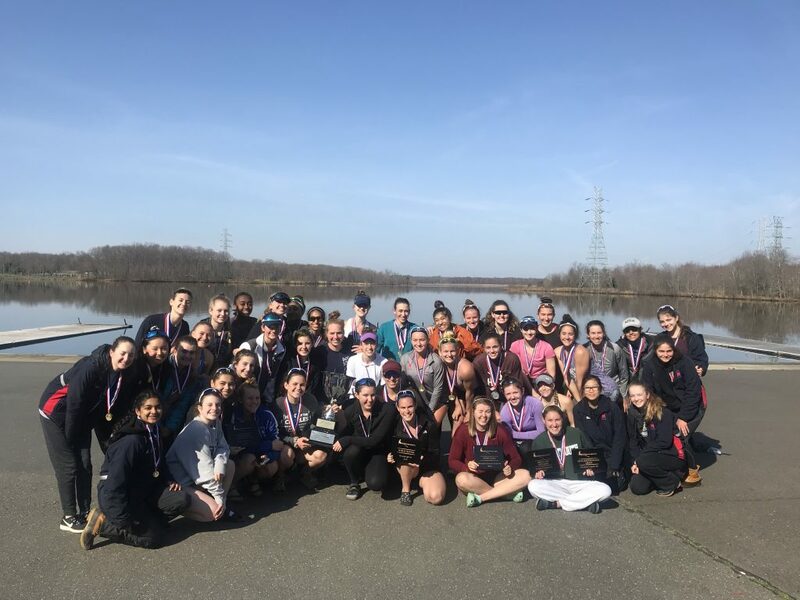 This past Saturday, April 6, the Mercer Juniors competed in the Steve Neczypor Regatta on the Cooper River in Cherry Hill, NJ. The highlight of the day include winning the Overall Team Points! Below is a recap from Head Varsity Boys Coach Jamie Hamp and Head Varsity Girls Coach Matt Carlsen. The Varsity and novice boys all officially opened their seasons this past Saturday at the Steve Neczypor Regatta in Cherry Hill, NJ. After a few early morning showers, the sun came out and there was little to no wind for most of the day, making for a great day of racing! Thanks to all the parents who contributed food and helped make this day a success for all the Mercer teams! 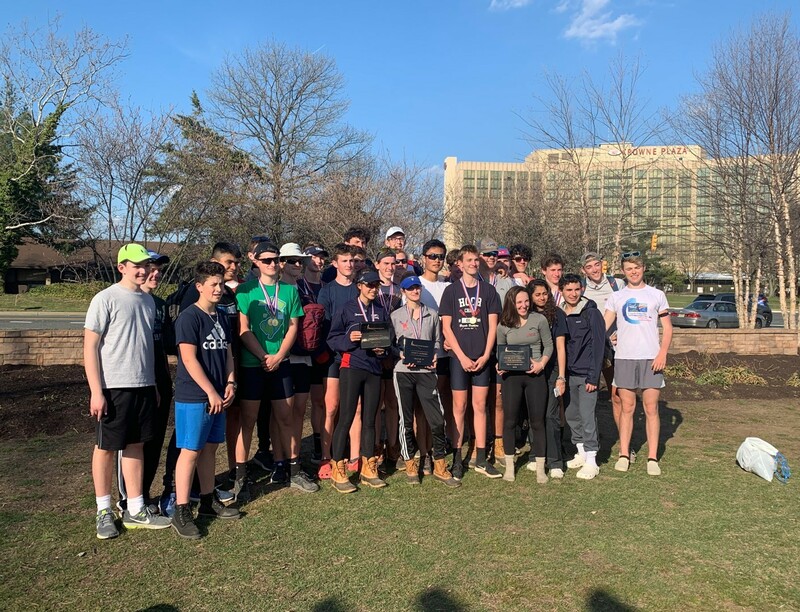 The novice boys had a great first race for many of the rowers, as the 1st Novice 8 won its flight and the overall event, recording the fastest time of the day in the process. The 2nd novice 8 got 4th in their race with many first season novices. The varsity boys raced tough from top to bottom and displayed the depth and fitness the team has been building this winter. The Lightweight 4+ placed 3rd in the final, just a second from 2nd, and the Varsity 4+ got silver in a tough race with Christian Brothers Academy. The team swept the three JV 4+ flights and had 3 of the 4 fastest times in the event, as well as the fastest time in the JV 8+, earning another overall event win. The 3rd varsity 8 had a great race and finished 3rd in their flight. In the last race of the day, the Varsity 8+ pulled out a hard fought win over Mountain Lakes, giving them their 3rd event win for the day. The boys came in second for the men’s points trophy and helped win the overall team points trophy with the Mercer girls successful day. You never know what to expect in the first race of the Spring season, and this weekend was definitely a good starting point for our Spring season. We definitely showed our depth, and I am looking forward to finding more speed before our next races. The Varsity 8+ won their first race in the new boat – the Sean T. McCourt. We will be having a boat christening ceremony later this summer, stay tuned for more details on that. PNRA Named USRowing 2018 Club of the Year!